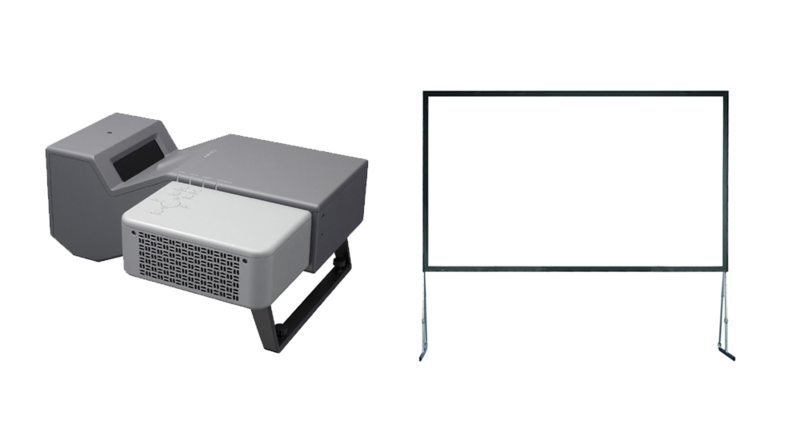 One of the most popular products from our audio visual range is undoubtedly our projector hire. Ideal for a huge range of events, our projectors are regularly booked for weddings, meetings, conferences and birthday parties throughout the Midlands. Our Sanyo PLC-XL50 offers both front and rear projection; this is why it is often booked alongside our 6ft x 4ft front and rear projection screen at a range of events. We understand that everyone has a budget to work towards when planning any type of event. That’s why we have a range of different options offer so we can find one that will suit you, if you have any questions regarding our projector hire give our office a call today. From our main Leicester office we are often booked to provide our comprehensive selection of AV equipment and services across the midlands and surrounding areas. As with the majority of our products here at Solid State UK, our Sanyo PLC-XL50 projector is available on a dry hire service where’d you collect and return from our Leicester unit. Alternatively we offer a full delivery and installation service, where we deliver, set up and collect the items from your chosen venue. Are you interested in our projector hire for your wedding or event? All our AV products are available to hire throughout the Midlands and UK including Leicester, Birmingham, Coventry, Derby and Nottingham.